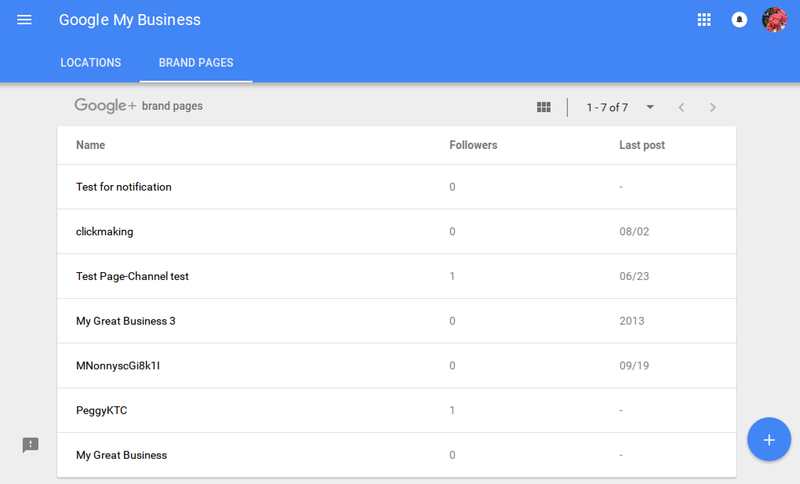 Update April 2, 2019: Consumer Google+ shuts down, and all Google+ Pages will be deleted. 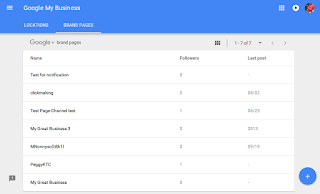 Download a copy of your Google+ Page data with Google Takeout before then. Update October 2017: Google My Business no longer creates a Brand Account along with a business listing, which means there is no way to connect Google+ or YouTube to a new listing. 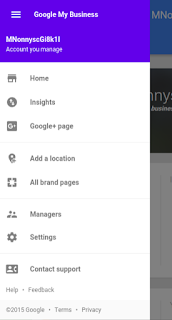 Google is rolling out an improved "Google My Business" dashboard for Local Pages and Brand Pages. 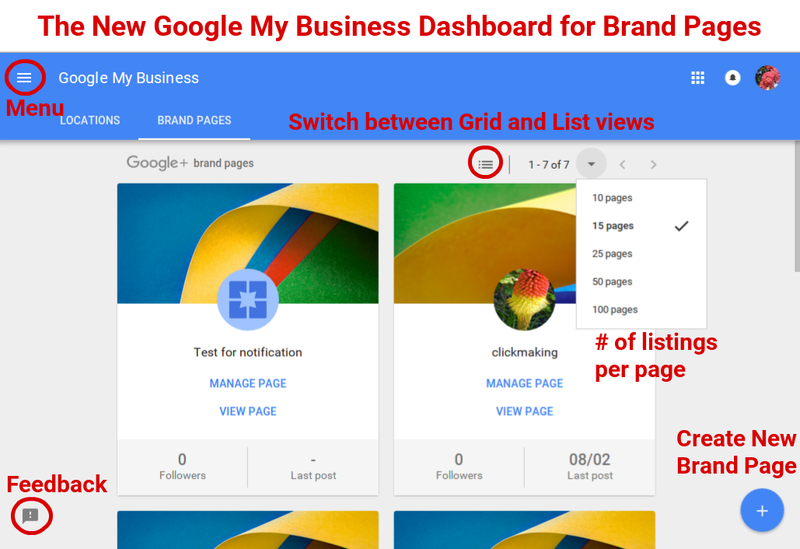 The new dashboard is at Google My Business (business.google.com) instead of Google+ (plus.google.com/dashboard) and places management tools at your fingertips. 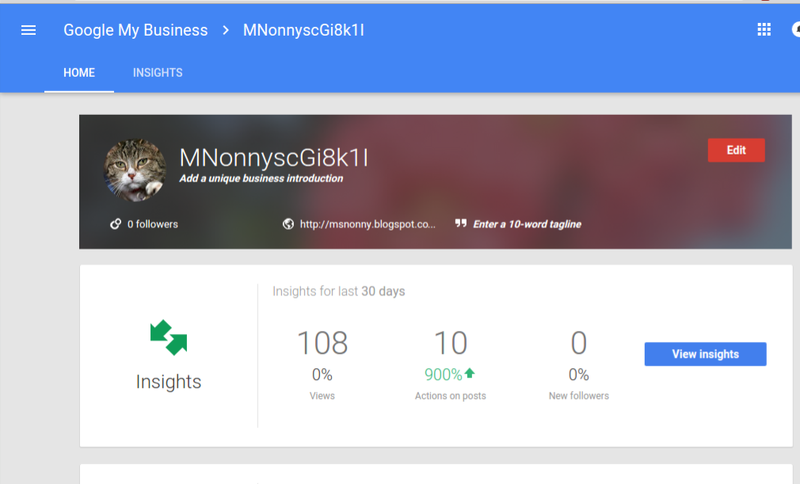 Brand Pages are used to represent YouTube channels, bands, organizations and brands on Google+ - any other identity that isn't a local business (where you see customers or clients face-to-face) or your personal profile. 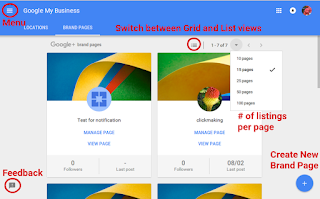 Since that's what I use, and I'm not a Local Business expert, my post focuses specifically on Brand Page Management. The menu - accessed by clicking the "hamburger" 3 line menu icon at top left - lets you access more account options. Those options are limited for accounts that only have Brand Pages. How do you get the new dashboard? When the new dashboard is available on your account, clicking "Pages" in the Google+ navigation menu, or "My Business" when managing a Page will bring you to the new interface. If you don't have it now, it should be rolling out to you soon!